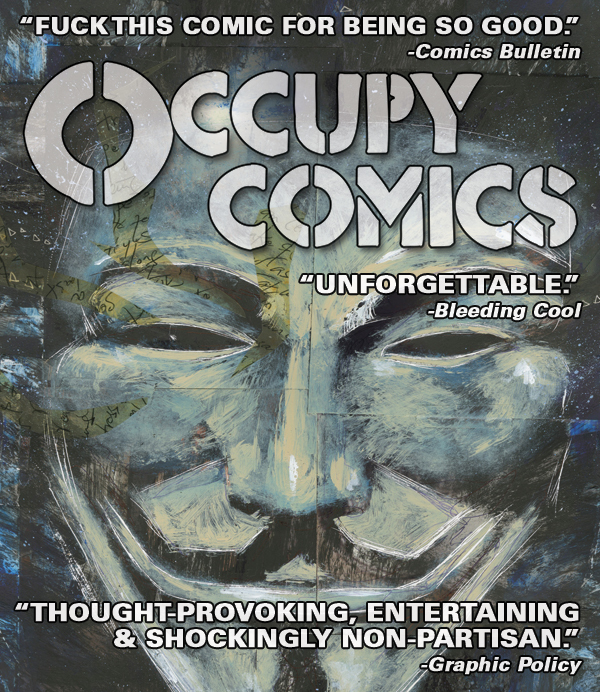 The Occupy Comics anthology was finally released a few days ago via Black Mask Comics and it is nothing short of breathtaking. It is an example of the the great things than can happen when the spirit of the DIY punk attitude converges with some of the greatest talents in the comic industry. What they have produced is a love letter to one of the most inspiring social movements in recent history. The comic is alive. It is a living, breathing collection of stories and art that will live on and, just like the movement itself, continue to inspire for generations to come. The project was organized by Mat Pizzolo and funded by a simple Kickstarter page. A few of the of the contributors include Charlie Adlard (The Walking Dead), David Lloyd (V for Vendetta), Ben Templesmith (30 Days of Night), Joshua Dysart (Swamp Thing, Unknown Soldier), and the legendary Alan Moore (Watchmen, V for Vendetta, From Hell). There are vignettes and short stories about everything Occupy: historical snippets of the Homestead Massacre, the Occupy Sandy efforts to assist people out in Far Rockaway, and the touching story of a family getting evicted from their home. All these works serve as powerful stories that encompass the struggle for social justice. Occupy Comics explores many different aspects of the movement, including a vignette from an “evil” banker that engenders sympathy from even the most anti-capitalist of Occupy supporters. The work is poignant while being non-partisan when it comes to the ideological vistas represented in OWS and that is one of its greatest strengths. Anyone who participated in Occupy Wall Street before its main hub in Zuccottii Park was was brutally razed by Michael Bloomberg and his repressive army will immediately be transported back to the park where all of the great discussions, activism, interaction and protest took place on a daily basis. Reading through the comic is like opening a time capsule to the days when thousands of people were coming down to the park or marching against all of the impunity and criminality that precipitated the largest global economic crisis since the Great Depression. 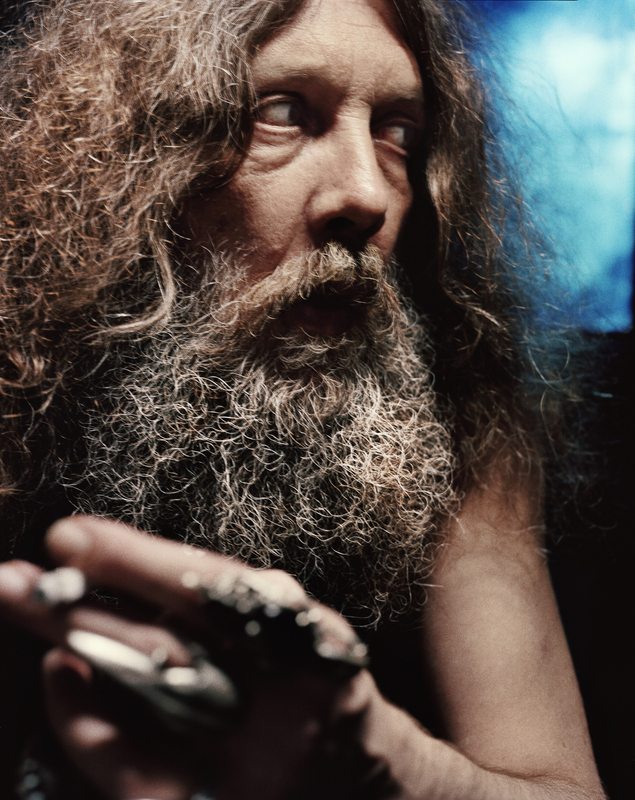 One of the highlights of Occupy Comics is the brilliant essay by Alan Moore. His piece alone is well worth picking up the anthology. He wrote a 23 page article entitled, “Buster Brown at the Barricades: Foment in the Funnies and Comics as Counter-Culture.” Many people have been writing off Mr. Moore lately because of his acridity and criticism of the mainstream comics writers and the industry as a whole. Perhaps he hasn’t read a lot of their work. Perhaps he is a little jaded, but he is correct in his lamentations and opinions and his article proves that he continues to be passionate about comics and the power that they have wielded throughout history, both politically and as a story telling device. By reading his piece one gets the sense that his criticism comes from his sadness and frustration over the potential of what comics could be if they were not hijacked by the philistines in the entertainment industry. His article also reads like the perfect condensed history of the comic book: From its beginnings on the back of stones that nameless toilers stacked on ancient Egyptian pyramids to the Prohibition bootleggers that smuggled their booze from Canada, comics have always been a medium where the dispossessed, illiterate and unloved found solace, where the origins of the political cartoon scribed on an unused carton in 17th century Italy spoke truth to power. Occupy Comics is the perfect manifestation of that power and potential. It is a throwback to the origins of comics and a contemporary protest piece that will stand the test of time and serve not as a monument to a movement defeated, but a rallying cry to a struggle that continues every hour of every day.